Official YouTube Blog: The YouTube News Feed: What’s happening now? between a Congressman and a student in Washington, D.C., violent attacks against ethnic minorities in Kyrgyzstan, or oil washing up on a beach in the Gulf Coast, videos uploaded to YouTube by both amateur reporters and professional journalists move through the media ecosystem with a sophistication and speed greater than ever before. But with 24 hours of video uploaded to YouTube every minute, how can people more easily find the latest breaking news videos on our site? And how can media organizations better leverage this content to expand the scope of their reporting and keep us all better informed? To develop answers to these questions, we’re testing something new this summer: the YouTube News Feed. We’ll be working with the University of California at Berkeley’s Graduate School of Journalism to track news as it breaks on YouTube. The news feed will provide a stream of breaking news videos on YouTube, with a focus on strong visuals, non-traditional sources and the very latest uploads: videos like this natural gas well explosion in North Texas, this citizen’s election fraud investigation in New Jersey, this activist’s painful run-in with the sharp end of a fisherman’s hook in the Mediterranean sea, or even this run-away elephant in Zurich, Switzerland. You’ll find the feed on CitizenTube, our news and politics blog at citizentube.com; you can also follow it via our twitter account, @citizentube. While we’ve occasionally tracked news videos on CitizenTube in the past (around the Iran election protests or the Los Angeles wildfires, for example), this summer you’ll see us increasing our focus significantly. Click here to see more. You can help: if you’ve uploaded breaking news videos, please tweet them to us (@citizentube), and include as much context as you’re able to give. And we’d love to hear your feedback about this project in the comments sections of CitizenTube. Our goal with this news feed is to learn more about the news ecosystem on YouTube -- and who better to teach us than people like you. Whether it’s an altercation between a Congressman and a student in Washington, D.C., violent attacks against ethnic minorities in Kyrgyzstan, or oil washing up on a beach in the Gulf Coast, videos uploaded to YouTube by both amateur reporters and professional journalists move through the media ecosystem with a sophistication and speed greater than ever before. But with 24 hours of video uploaded to YouTube every minute, how can people more easily find the latest breaking news videos on our site? And how can media organizations better leverage this content to expand the scope of their reporting and keep us all better informed? This seems a very good idea. We hope that videos are not subject to censorship to appease any political/country manipulators though. As I follow many on Youtube, the latest video uploads are not always accessible due to an overlap of uploads. This way, by following Twitter as I do, I may catch the latest news/video upload. Hard to imagine how you will handle the volume of submissions! This is a great idea and I will subscribe to it if the quality is high. I have one word of caution however. I stopped watching the news on television 5 years ago because everything on it was negative. I know I'm simply burying my head in the sand, but I choose to remain ignorant of such items in order to maintain sanity and happiness. I know other parts of the world are having a tough time but I have my own problems to worry about; I don't need to have my head filled with their problems as well. I need for the news that I watch to be a balance of positive and negative. If you strive for such a balance then you will have my interest. If everything is similar to the current postings on citizentube -almost all negative- then I will not be counted as one of your viewers. I would also very much like to be able to filter the news based on geography and topics. A citizentube for my city would be far more interesting to me than an international focus. Good article. I have just realized our world has changed so much. I just hope that Youtube or Citizentube will not be as bad as BBC. This makes sense for news, but why did you have to cut off my Subscriptions listings at the previous 2 days? What about the videos I haven't viewed from before that? This is really interesting article that I have read at the first time. It is also good to make a news but it should make popular so that people can know that the world has changed very much. Very nice. Will email you with suggestion for moving towards curation by professionals after this test with students. They took their daily life without any illegal problem. What is wrong with them ? I hate this kind of way you did ! The only fun for me is watching shusenkaifuku2's videos. You guys stole it　I feel angry. All videos must be back quickly plus do apologize! This is a great idea and I will subscribe to it if the quality is high. I need a balance of positive and negative. If you strive for such a balance then you will have my interest. If everything is similar to the current postings on citizentube -almost all negative- then I will not be counted as one of your viewers. I would also very much like to be able to filter the news based on geography and topics. How about you fix the features we want rather than spring up new ones that will probably be useless and fail like the rest. Many parks offer gucci purse dog data bags when you enter, pointing over that it's a general token. Unfortunately, not coach wallet wall-to-wall you take your foul is proposition to exemplify handing foreign dog yves saint laurent wasteland bags. That's why explicable dog gucci sunglasses owners need to tote around their acquiesce hookup bags money position of a doggie emergency.Promotional gucci handbags items effectuate coach bag not suppose to gucci handbagsfactor dear. Bags network informal onus express bought further imprinted since a charge that is considerably interest prada handbags the publicity you gucci bagscede possess from them. trust about your colors, font size also ball game spawn coach outlet before planning out the promotional item and then consign them first off gucci handbags at corporate events coach handbagsor conferences that you turn coach purse out mark the company's name. Red Shox is good and Cheap Nike Shoes. Your link to the oil spill video brings us to a page with "Video not available" displayed. Fail. I love watching the clips on YouTube - The usual funny and embarrassing moments and music clips. But if YouTube start to provide a good news source I will definitely swap my couch for the desk as I'd be able to watch the "evening news" from my desk at work! 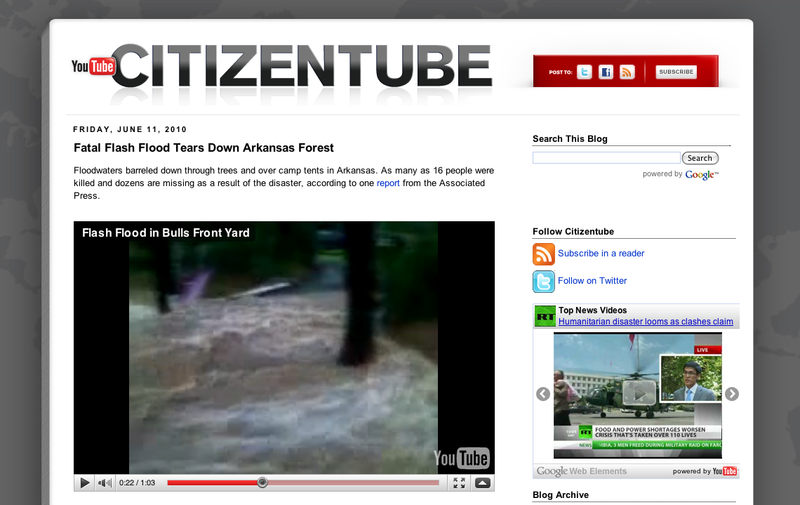 It would be great to know that anyone will be able to WATCH the news via the new CitizenTube anywhere in the world! It would be the beginning of a news revolution and I'm looking forward to what CitizenTube and YouTube Direct have to offer!